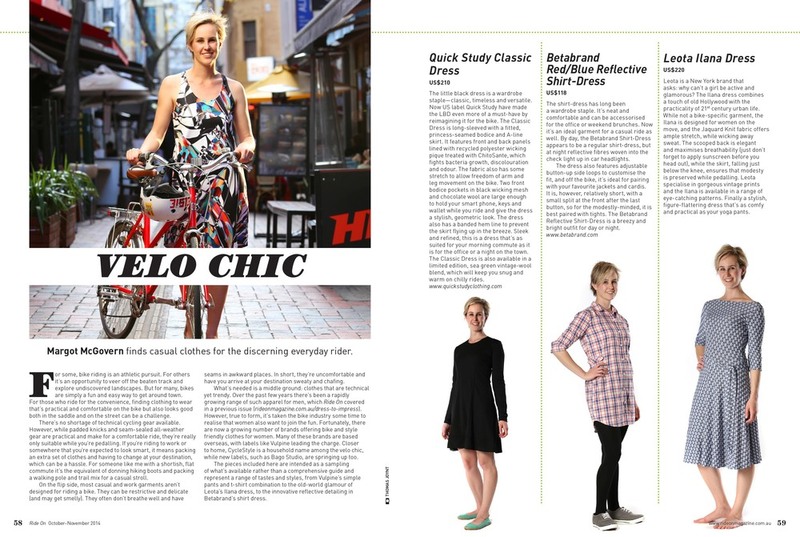 In this months Ride On magazine 'Margot McGovern finds casual clothes for the discerning everyday rider' in an enlightening Velo Chic article featuring Bago Studio's vibrant racer back dress. Thanks to Margot and Ride On for this awesome write up. Ride On supports and informs cycle networks across Australia for everyone from the beginner rider to the regular roadie. This great cycle magazine comes free with any Bicycle Queensland, Victoria Bicycle network, Bicycling Western Australia and Bicycle Tasmania and membership.